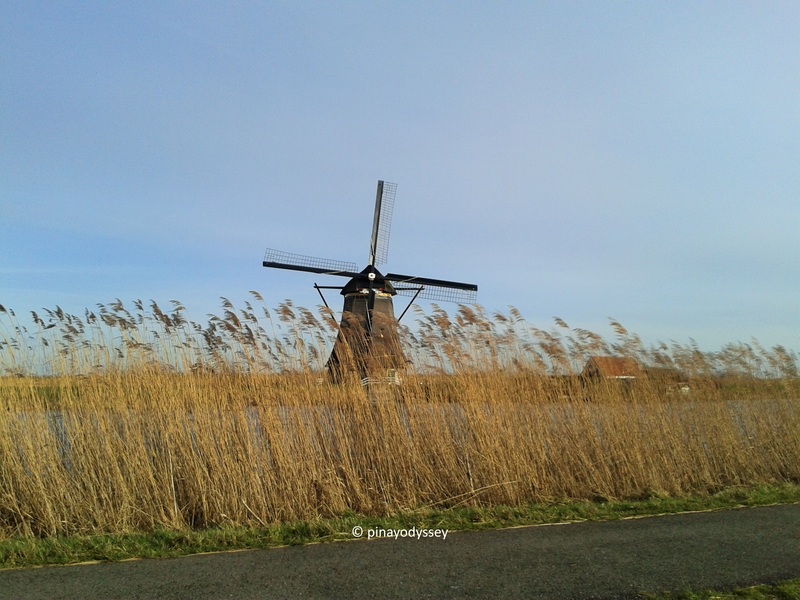 A visit to the Netherlands is never complete without experiencing the 19 authentic windmills, a unique Dutch icon, located in Kinderdijk, a little village in the province of South Holland. It was recognized as a UNESCO World Heritage Site in 1997. 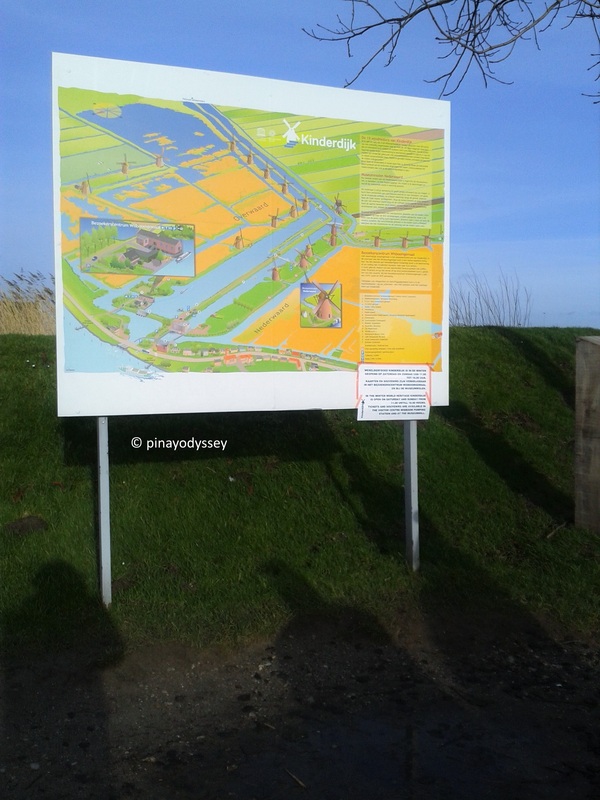 A big part of the province is situated up to 7 meters below sea level, and floods had been a major problem for the Dutch. 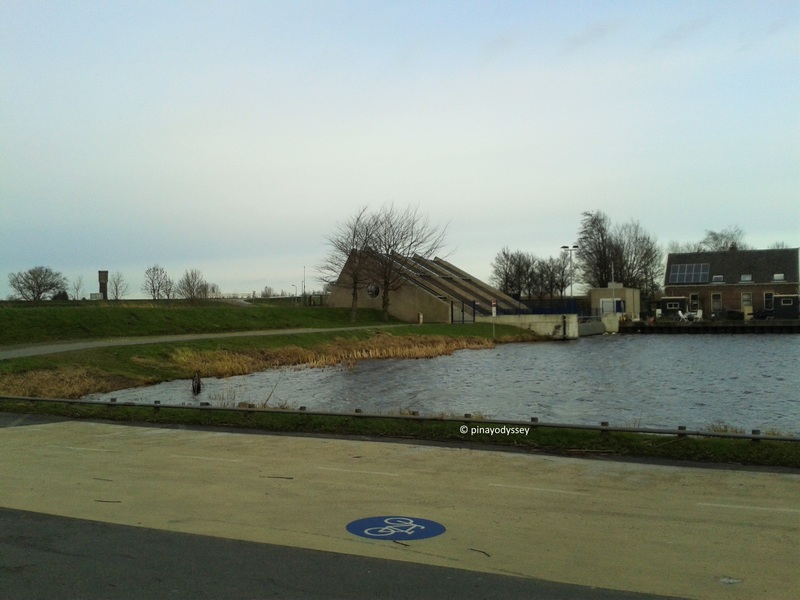 The said natural hazard led the Dutch to come up with effective waterway systems. 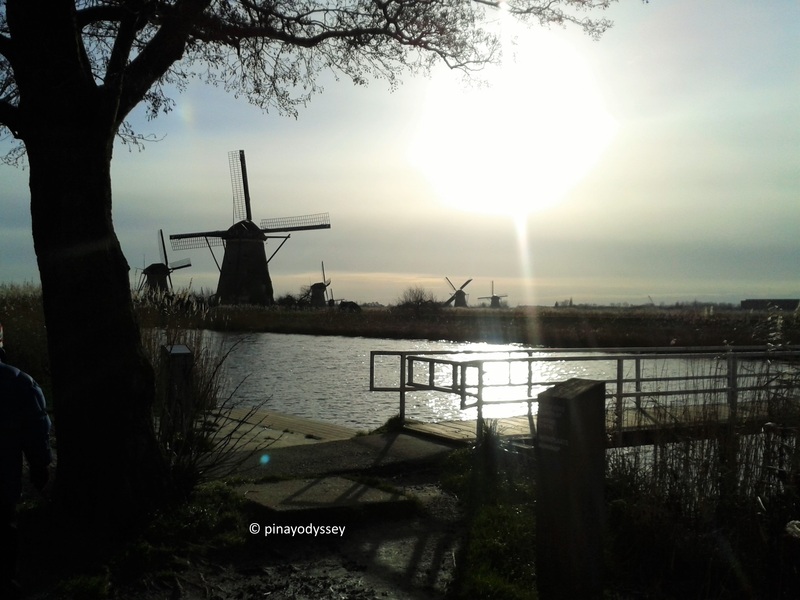 And so, in the 13th century, they began building dams, dikes and beautiful windmills! As you might have guessed, the village’s name literally means “Children dike”. 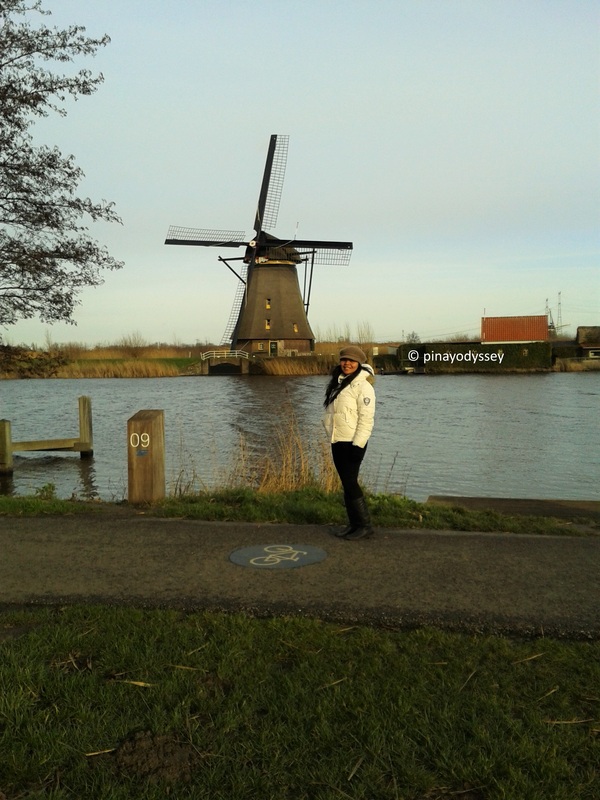 It has 19 authentic windmills dating from the 1500s. Wikipedia has an interesting legend as to how it all began, which involves a major flood, an onlooker, a cat and a cradle. 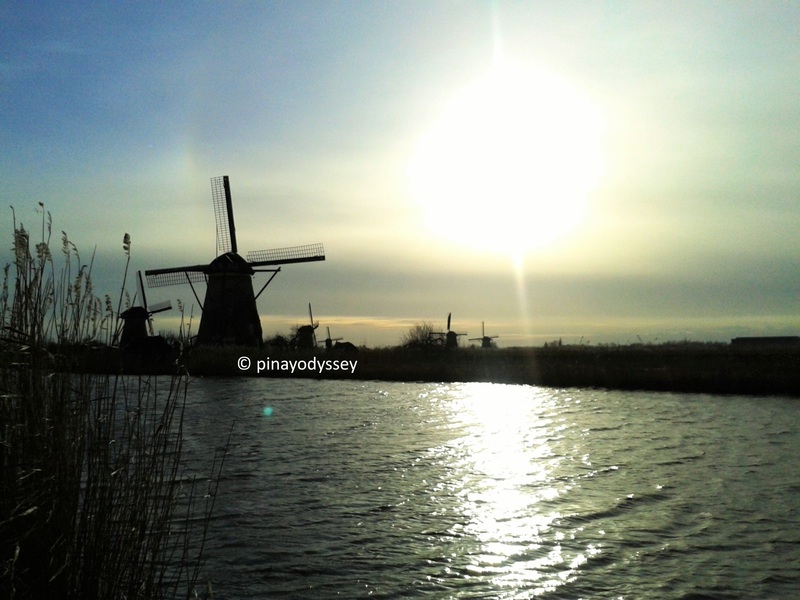 Read about the story here: Kinderdijk. As for the windmills, there are 8 stonebrick windmills built in 1738, 8 thatched windmills built in 1740, 2 stone windmills built in 1760, and 1 built in 1521. The last one was burned in down in 1997, but restored in 2000. Read more factoids about the milling system here. 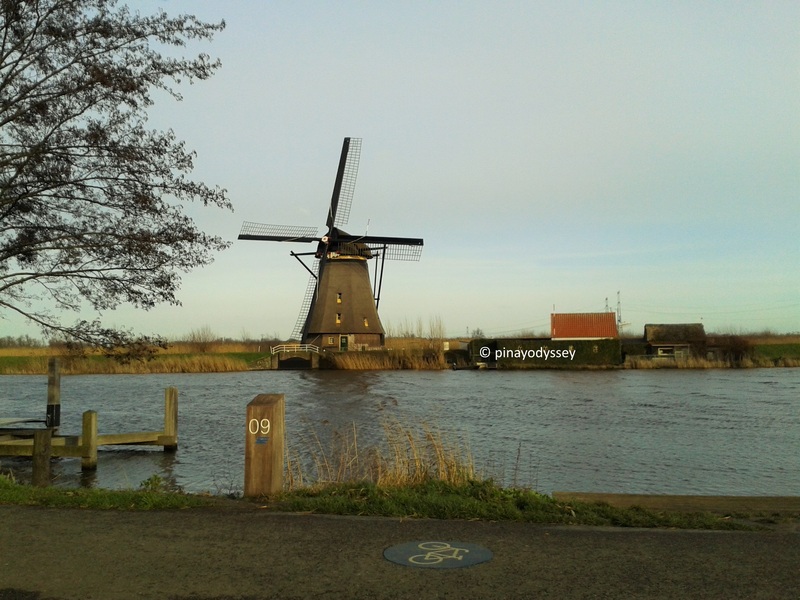 Kinderdijk offers a beautiful scenery. Bet it’s perfect for pre-nuptial photo ops! There’s also a museum, workshops, waterbus, tourist vessels and other activities, plus a chance to meet the millers! 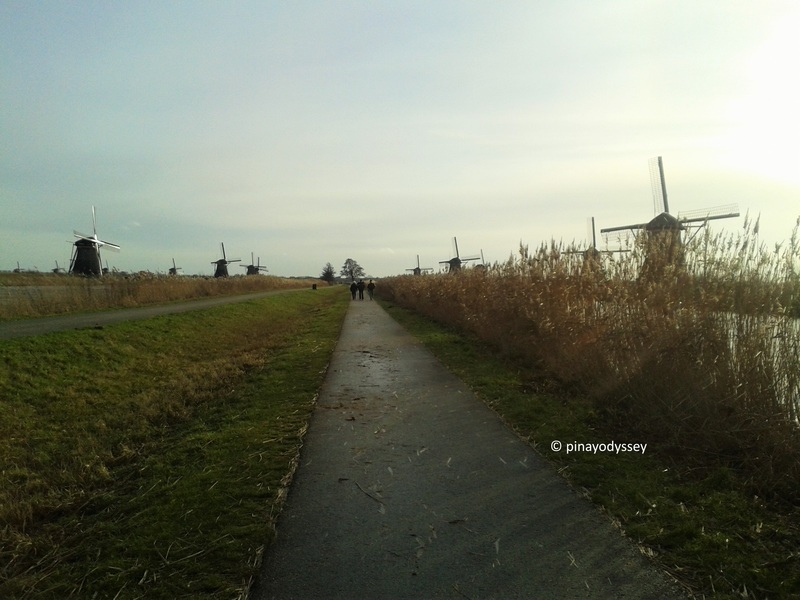 Them you can read about here: Visit Kinderdijk. I really am a huge fan of Dutch innovation! And hospitality! 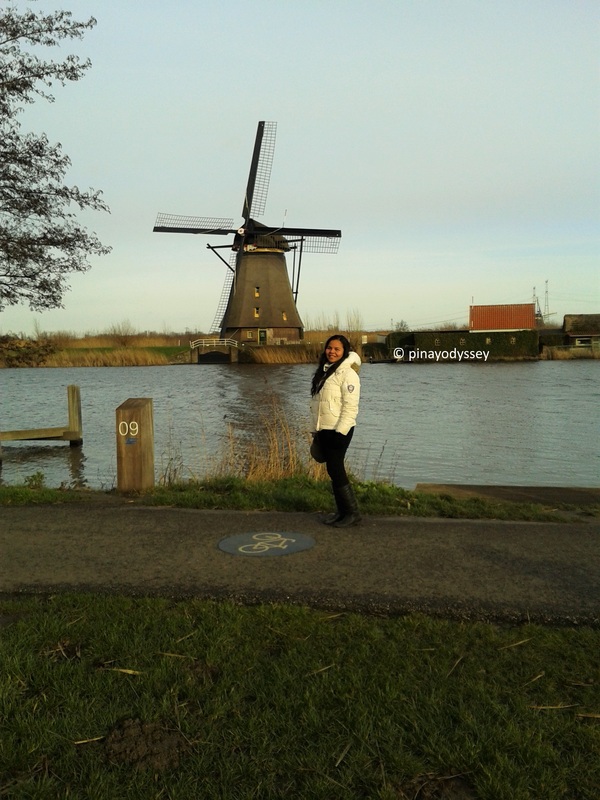 Thanks to my aunt and uncle for hosting me and for showing me around Rotterdam and Spijkenisse. ❤ Cheers!